You are King Harold and your daughter is taken against her will by an evil goblin leader. 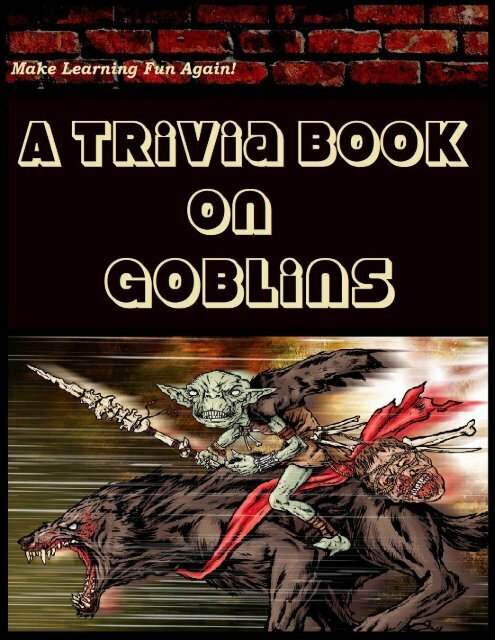 Answer 10 trivia questions about "goblins" and go in an epic six-sided dice battle to determine the fate of your daughter and your kingdom! After the initial story there is a crossword and word search puzzle to enjoy. 40 Your answer is: A. 6 to 9 feet.